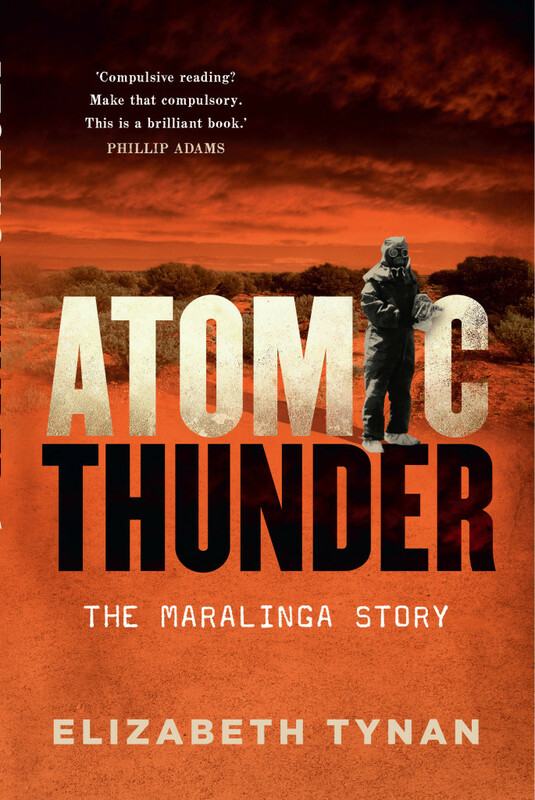 Richard Broinowski* reviews Elizabeth Tynan’s Atomic Thunder: The Maralinga Story. David Pope’s cartoon of the 60th anniversary of Maralinga (Fairfax, 3 October 2016) shows Prime Minister Robert Menzies astride a British atomic bomb with a bulldog’s muzzle flying across a desert landscape. Three mushroom clouds tower above a group of British nuclear boffins in the left foreground and a group of Aborigines on the right. Menzies has his finger over his mouth in a shushing motion, demanding secrecy. Pope’s cartoon captures the essence of Elizabeth Tynan’s book Atomic Thunder. Traumatised by German V-2 rockets (the world’s first ballistic missiles) in the closing stages of World War II, refused post-war nuclear collaboration with the Americans, and obsessed with an urgent need to develop their own nuclear deterrent, the British turned to Menzies to provide atomic proving grounds. A sentimental Anglophile, Menzies willingly obliged, sharing the costs and asking for nothing in return. Between 1952 and 1957 the British detonated a dozen atom bombs, first in a maritime environment in the Monte Bello Islands, then at Emu Field and Maralinga in the deserts of north-western and central South Australia. The Australian authorities made token efforts to remove nomadic Aborigines from the test grounds before the tests, but an untold number were irradiated, unknown because they were not counted in any Australian census at that time. Many British and Australian servicemen, sent in to manage the sites, were made to stand in rows with their backs turned to the explosions – to prove that they could survive in a nuclear battle space – then ordered to wash radiation off the wings of aircraft flown through atomic clouds. The end of British atmospheric testing in Australia coincided with the signing of a moratorium on such testing. This was negotiated in Geneva in 1958. But the British persuaded Menzies to allow a further series of tests at Maralinga in 1960, the infamous ‘Vixen B’ series, which used conventional explosives to determine whether plutonium-fuelled weapons would detonate if the aircraft carrying them crashed or caught on fire. These experiments blasted the plutonium into thousands of tiny pieces, scattering them across the testing grounds and far beyond. The British reluctantly participated in two cleanups, supervising Australian and British servicemen who, with minimum or no protective clothing, painstakingly gathered plutonium fragments into bags and buried them in concrete-covered trenches on site. The clean-ups were ineffective, and it took a Royal Commission convened in 1984 under the chairmanship of Jim McClelland, then Chief Justice of the New South Wales Land and Environment Court, to expose the facts and condemn virtually every aspect of the tests. Once more, the British reluctantly cooperated, and over the objections of Prime Minister Margaret Thatcher, grudgingly contributed to a further cleanup. Tynan accurately records all these events. In particular, she carefully chronicles and names the various test series that began with Operation Hurricane. These tests included: the detonation in 1952 of an atom bomb in the hold of Plym, a British navy frigate moored at Monte Bello; the Totem and Mosaic tests at Emu Field in 1953 and 1955 (the second Mosaic test, a very powerful 98 kiloton weapon, blanketed many parts of Australia with fall-out); and the seven bombs of the Buffalo and Antler series, detonated between 1956 and 1957 at Maralinga. Tynan also exposes the malign role played by British nuclear scientist Ernest Titterton, head of the safety committee responsible for overseeing the tests, who was trusted by Menzies to present an accurate and fair account of them to the Australian public. Instead, Titterton lied about them, dismissing the toxicity of plutonium and uranium and other long-lived radioactive substances released by the tests, and falsely claiming that Maralinga would quickly become once again a safe habitat for nomadic tribes. Assisting Titterton in his deceptions were two factors: the Pearce Report, a heavily-edited British assessment published in 1979 that gave faulty and misleading measurements about the extent of nuclear contamination at the test grounds; the Australian government, which was obsessed with secrecy and was able to con the Australian media into silence through the pernicious use of ‘D’ notices, an ingenious system of censorship voluntarily adopted by editors in the ‘national interest’. Despite all this coverup and obfuscation, the Australian public gradually became aware of the extent of environmental disaster. Tynan describes the disclosures in 1993 by Ian Anderson, Australian Editor of the New Scientist and the relentless investigative journalism by Brian Toohey of the Australian Financial Review. 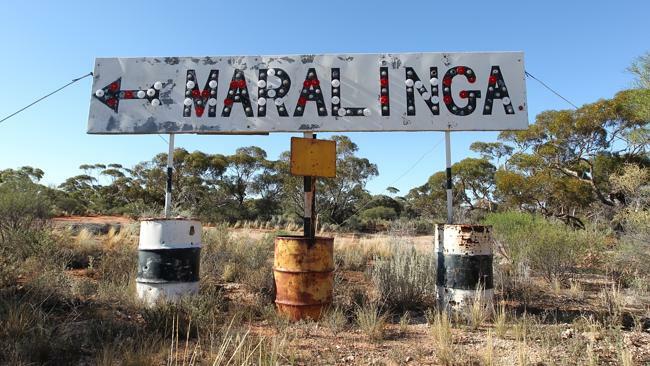 Despite the failed cleanup efforts, Science Minister Peter McGauran triumphantly declared in March 2003 that the Maralinga site was free from contamination, but no-one with any interest in the official lies believed him. Meanwhile, former Prime Minister Bob Hawke has for several years advocated turning part of South Australia or the Northern Territory into a spent fuel repository for the international nuclear industry, an appeal taken up by the 2015 South Australian Royal Commission into nuclear power. Such a repository could perhaps be a bonanza for a cash-strapped state, but nowhere in the world has such a repository been established that can guarantee the isolation of high-level nuclear material from the biosphere for the requisite time, that is, for the half-life of plutonium 239 of 24 400 years, or uranium 238 of over 400 000 years. The tragedy of British nuclear testing in Australia underlines how servile the Menzies government was towards Britain during the Cold War, and how it allowed long-term environmental damage to take place without any attempt to extract a price for the vandalism. Tynan’s book should be read by concerned Australians. It will reinforce public awareness of the fact that nations have permanent interests, not permanent friends. It may also revive the underlying public scepticism in Australia about all things nuclear, and inoculate them against nuclear snake-oil salesmen driven by visions of quick profits, who misguidedly want to establish a commercial spent nuclear fuel repository in the deserts of South Australia or the Northern Territory, as well as a nuclear power industry for Australia. * Richard Broinowski is a former Australian diplomat and is the author of Fact or Fission: The Truth about Australia’s Nuclear Ambitions (Scribe 2003).